Discussion What's your take on napa putters? What's your take on napa putters? Just picked one up in Borealis Black from a local seller 3 weeks back. Headcover was drier than a mummy, and it's taken me a while to get used to it. My gamer is a Miura MGP-03, but I'm growing oddly fond of this napa-style putter - 20 for 20 on an artificial 6' putting strip isn't bad for my level of play. Also, aside from the SS6, are there any other napa putters out there that don't break the bank? I've looked at the SC Napa (all below 350g, and $$$ with risk of eBay fakes) and the Wilson 8802 (nice and relatively cheap, would make a nice beater napa if it wasn't only 320g). I love 8802/Napa styles. And you can pick them up in many weights from old and very light to newer and heavy. And if you are after 8802's that don't break the bank. Wilson like you mentioned (and there are many of them). Some of the newer Wilson Staff 8802's I believe are 350g+. Edit - here's an older photo of some of mine. Details on the soles if you see a putter you like so you can look for one. And you can add Scotty Napa, Rife Bimini, Yes! Sophia and Odyssey #8 since that photo was taken. Holy smokes - that a sweet collection right there! Oz is a good 14 hours away from where I am right now (Dubai), but I'm from Singapore, so I might take you up on that offer when I'm back in Singapore middle of next year! Even before Wilson slapped the "8802" name on a putter, Macgregor had the Ironmaster line and those go back to the 30s. 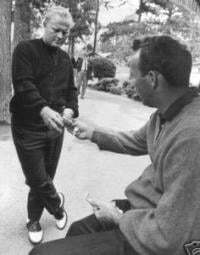 I have a DBAP (Designed by Arnold Palmer) which is the same putter headshape, but Wilson renamed it the 8802 when Arnie split from Wilson in 1963. This putter is just too light for my tastes with a C9 swingweight. The heavier, modern 8802 style putters also don't work because they feel so heavy that I can't get the putterhead moving back smoothly. My Aussie mate Baz has a lovely collection of blades. You can't go wrong with a 8802 style head - I promise it will improve anyone's stroke. The SS6 is a nice stick with the beautiful fly milling but a tad heavy for me. That Cleveland Ben Crenshaw is a good solid putter. This 8802 bug is really starting to bite. Been reading up and there's all kinds of stuff out there, from the BeCu versions to the BeNi versions, and then there are copper variants. 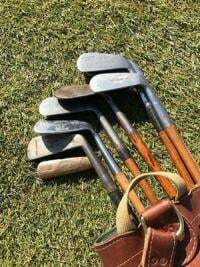 My dad gave me his old Ping BeCu anser style putter some time back (it's back in Singapore) and I recall how soft it felt at impact. Only thing I didn't like about it was the weight (too light), but there must be napa variants out there! Some people chase Pokemon. I'm now hunting down 8802/napa putters - I must capture them all! dpark is correct about the lineage. But somehow they never got referred to as ironmasters, just 8802's over the past decades. And you are correct in your post above about there being 1000's of variants. Just about every putter maker does an 8802/Napa variant. 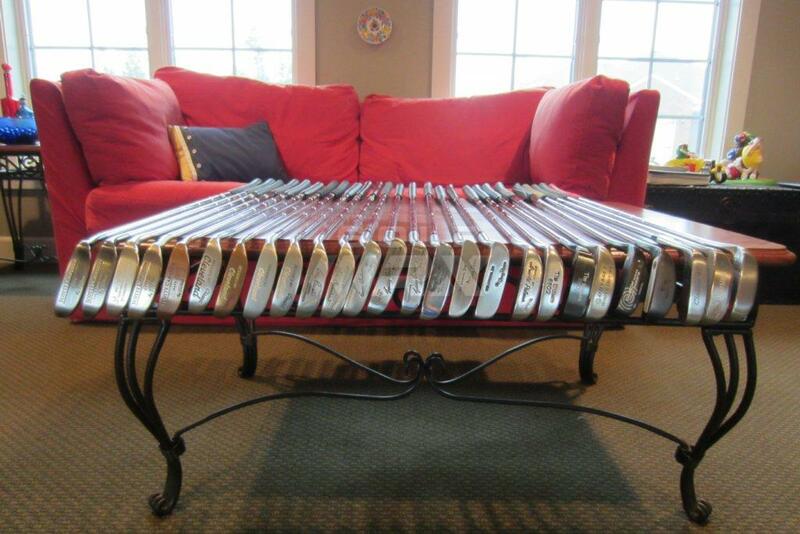 Do a search on 8802 on GolfWrx putter forums. There's been a few threads listing all the models people can think of. It gets very, very long. I have 4 or 5 Wilson versions. The 8802 is my favorite over the 8813 and 8882. The original is also my preferred over the newer "Staff" version. But that's probably because like dpark I also seem to putt better with a lighter putter. And to this chopper/hacker they are every bit as good putting-wise as a scotty or betti or whatever. I'm not too sure whether the amount of $$ paid for a putter corresponds much with how well it plays. But having said that, I have 4 scotty's, a Lajosi, a Betti, a Yamada and other boutiques. That's just the Ho in me. Of all my putters, I have an ancient Old Master W802 that is as good or better than all my others. I still "game" it more than my Napa, although it is very light. I actually have 2 of them. One left with it's original dings, scrapes and beautiful patina. The other one I've highly polished and is a gorgeous golden colour. 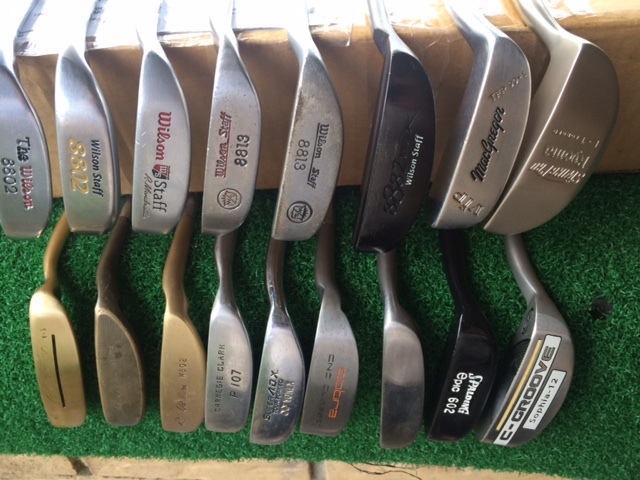 You can see them 2nd & 3rd left bottom row in the 2nd pic next to another old fave - a Titleist Acushnet heel-shafted flange putter (with the sound slot). Those Cleveland DB's are very well regarded. I'm on the lookout for one myself. Another favorite as I said above is the Odyssey Black #8. Lot heavier being more recent. And nowhere near the price of the boutique makes. And don't forget the Ping Tess. I have shop-tried one of the newer Sigma Tess putters and it went straight to the top of my Xmas wish list. Not sure I have enough browny-points with the missus. Lajosi (over here in Oz) makes gorgeous putters. His LP808 is his take on the Napa. Usually around the 350g mark I think. You can probably ask him for heavier if you wish. And with the exchange rate of the Aussie $ at the moment I think they are very competitive price-wise. It's another one on my hit list. And the Betti's are also top notch. I think they have 2 or 3 different 8802/Napa styles (SS6 and BB2 are both this style. Think there is another one as well). Thanks Rob. High praise indeed. And not forgetting Lefty-Phil gamed a Yonex Super ADX Forged. Not many better putters than him in his prime. I have a RH Yonex in my collection. I completely forgot that Bettinardi had the BB2- I'll have to take a look at it! Personal experience with the 'big boys' like Taylormade have recenlty been disappointing. Build quality couldn't be worse - I've had paint chip off my TM Spider Tour center shafted a couple of rounds after purchasing, and a weird white ring is starting to form around the face insert. 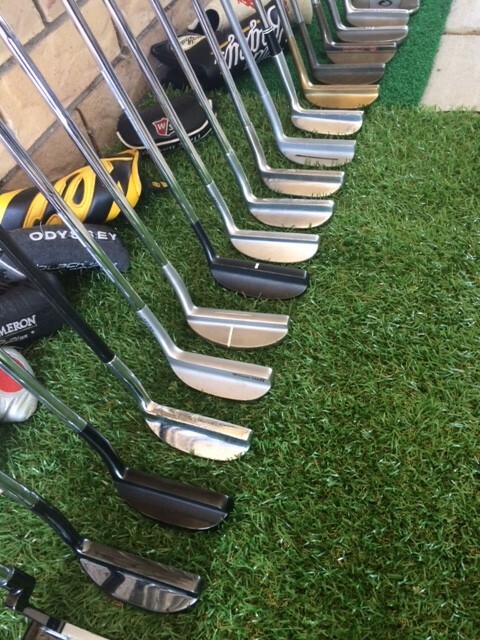 Compared to the boutique brands and less techy putters (like an 8802 style - what tech?! /laugh.png' class='bbc_emoticon' alt=' ' />), these new putters really fall short on quality, hence I'm staying away from anything produced these days with a face insert. p.s. 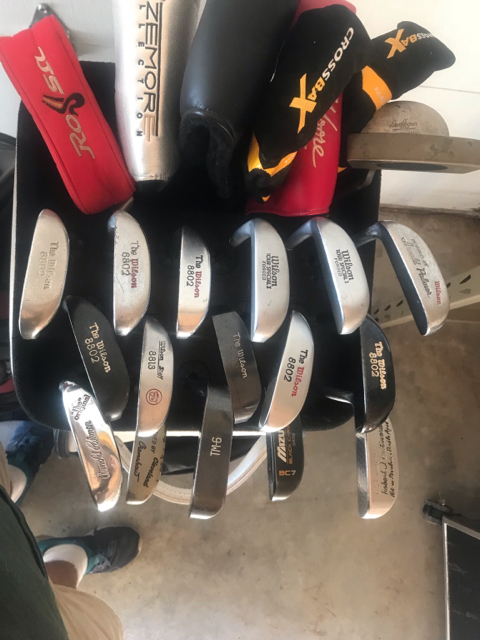 how do you guys hide your putters from your significant other? I'll gladly share any and all information I know about golf and a whole range of other things. I have a collection of Left handed 8802/DBAP putters that is just less than 20 or so. I have gamed them all however my best results are with a Bettinardi BB2 with Copper insert (345/350g). This will be the best quality insert putter with a modern weight. The Yonex ADX like Mickelson played way back is on the light side (Graphite shaft) however it works well for me on supper fast greens for some reason. As mentioned above the finish is shinny on sunny days can be a draw back. I think my fitter may have a miura blade putter in his cabinet. Lol I can imagine! That’s a special skill that takes years to acquire! Ooooh, what would you happen to be asking for it? Think that is the Yes! Sophia. It's the 8802 variant for them. I have one too. Bottom right 2nd pic. Another 8802/napa style blade you can find on the cheap are the Walter Hagens...either his namesake model or the Gentle Ben by Crenshaw. You can find them in various condition on auction sites, so you might get lucky and find a mint one, or possibly one that can be refinished. Either way, they're worth it, especially if they come with the original stepped & fluted shaft. They're definitely on the lighter side, compared to more modern models, but once you get used to it, you might find, as I do, that distance control for anything over 15' is better. The nice thing about your recommendation is that they are probably priced like the Acushnet Bullseyes that I picked up years ago for $25 to $50 a pop, depending on condition. Nothing too much to get fussed about the condition, but yeah, the fluted shafts are hard to beat. My super vintage bullseye putter is far softer to putt with compared to the Scotty American Classic III flanged which, in comparison to the bullseye and SS6, looks like quasimodo! The overall size of the putter head (Length mostly) is smaller on an 8802. The "One" will have some extra weight in the heel behind shaft/neck. The 8802 is a true heel shafted putter. Other differences however these are the biggest to notice. Both look similar in that they have weight behind the entire face (angled flange) and a flat post. There is typically lots of toe hang. Looking from above similar at address.